Check out this epic assortment of Lefty's gear! Support your favorite College Democrats blog, and look good doing it! 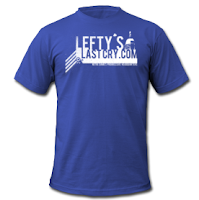 ...Damn good, if we do say so ourselves. The very, very, meager proceeds (about a buck per shirt) generated from the sale of Lefty's gear gets pumped directly back into the blog and future Lefty's Last Cry events. T-shirts are by American Apparel, with a more fitted style than your typical T. So if you're unsure, or in between sizes, get the next one up. 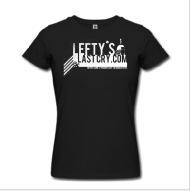 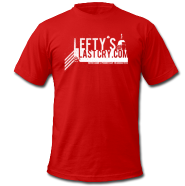 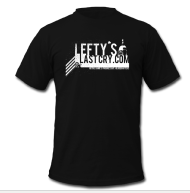 Check out the full Lefty's store, powered by Spreadshirt.com here.